‘I Keep It To Myself – The Best Of Wilko Johnson’ has now been released on Chess Records! Here’s a review of the collection on Something Else. Tune in to BBC Radio 2 this Sunday 19th February between 3-5pm, as Wilko Johnson will be joining the legendary Johnnie Walker! It’s sure to be a fun afternoon’s listening. Click here for more details. Roll Up For Anniversary Show At Royal Albert Hall! NEWS! Wilko Johnson anniversary show at the Royal Albert Hall on Tues 26 September! 2017 is certainly a special year for Wilko Johnson: not only does it mark the 30th anniversary of the Wilko Johnson Band, but this year sees the guitarist celebrating his 70th birthday. Given the events of recent years, this celebration at the Royal Albert Hall is all the more meaningful: here is the death-defying Wilko Johnson leading his own party with partners in crime Norman Watt-Roy (bass), Dylan Howe (drums), family, friends and special guests. 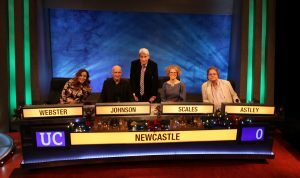 ‘I’m supposed to be dead!’ So said Wilko in a recent interview, having been diagnosed in late 2012 with terminal pancreatic cancer. But despite the doctors’ predictions he continued to perform and present himself with vigour and a new zest for life. 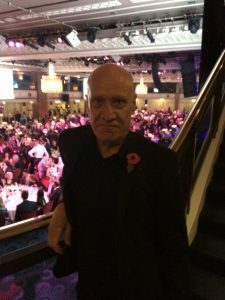 In 2013, Wilko announced that, thanks to a second opinion and subsequent life-saving surgery, he was cancer-free. The original Dr Feelgood guitarist, known for his distinctive chopping guitar style, recently found further fame on TV in Game Of Thrones, and also rose up the charts once more after teaming up with Who frontman Roger Daltrey on hit 2014 album Going Back Home, which features incendiary reworkings of songs from Wilko’s Feelgood days such as ‘All Through The City’ and ‘Going Back Home’. The Wilko Johnson Band consists of Wilko himself plus Blockheads Norman Watt-Roy and Dylan Howe; a rhythm ’n’ blues power trio widely acknowledged as one of the most exciting live acts in the world today. Keep It To Myself – The Best Of Wilko Johnson is released in February 2017 via Chess/Universal. Behold! 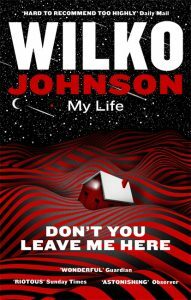 Wilko’s phenomenally successful book ‘Don’t You Leave Me Here’ is out now in paperback form via publisher Little, Brown. It’s £9.99 and it has a handsome new cover to boot. Today is #WorldCancerDay – as always, Wilko HQ sends huge appreciation, love and respect to all those who dedicate their lives to fighting cancer, and particularly acknowledge doctor Charlie Chan, surgeon Emmanuel Huguet and all at Addenbrooke’s Hospital for saving Wilko’s life with groundbreaking surgery in 2014. Thank you. Wilko Johnson and the boys have been confirmed for the Rock Against Cancer show at The Kings Arms, All Cannings in Wiltshire on May 20th 2017, joining a great bill which includes The Sweet and Gerry and the Pacemakers. 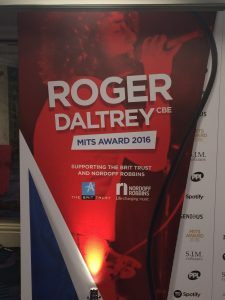 Wilko, Norman and Dylan were present at the MITS last night (7 November 2016) to celebrate Roger Daltrey’s tremendous and tireless charity work for Teenage Cancer Trust and Nordoff Robbins. The evening was rounded off with a headline slot from Roger, Wilko and the boys. A jolly good time had by all! Congratulations Roger!